I'm sure you've heard by now about the Mediterranean diet. Its hallmarks are olive oil, limited meats, frequent servings of fish, and an abundance of fruits, vegetables, and whole grains. 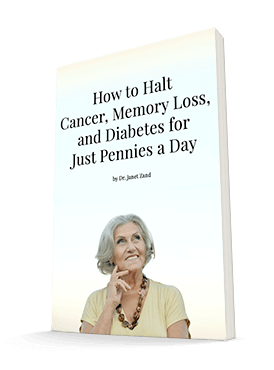 This diet is particularly beneficial for chronic illnesses ranging from high blood pressure to diabetes to cancer. But new studies have begun zeroing in on just what makes this diet so effective, and it's information that anyone who has or hopes to prevent a chronic disease should pay attention to. The key to the diet's success is found in the olive oil. No, it's not the oil itself. It's in the oil — a molecule called oleuropein, which is a powerful antioxidant and anti-inflammatory. And while you can certainly obtain oleuropein from olive oil, there's actually a better way, especially considering that olive oil is quite high in calories. This form is olive leaf extract, and you can find it at most local health food stores. If you have high blood pressure or you're at risk of it, your doctor may have given you medication. But he won't give you the same medication to lower your blood pressure that he would to someone who needed to prevent high blood pressure. That would require a different drug. Oleuropein, by contrast, can do both — lower high blood pressure if you have it, and prevent it if you don't. In fact, one study found that taking 500 mg of olive leaf extract twice daily was just as effective as taking 12.5 mg of the blood pressure medication captopril twice a day. Do keep in mind that if you are already on blood pressure medication, you shouldn't add olive leaf extract to the mix without discussing it with your doctor. You should generally take one or the other. Taking both could end up lowering your blood pressure too much. If you have diabetes, olive leaf extract may benefit you as well. Studies have shown that it can lower your blood sugar. It does this by slowing both your digestion of starches into simple sugars and your intestines' absorption of sugar. In fact, in one study, rats ate a high-fat, high-carb diet until they developed metabolic syndrome. Without changing anything else about the rats' diets, the researchers added olive leaf extract. All of the rats' symptoms, including abdominal fat, hypertension, and high triglycerides, improved. Of course, you'll get the best results if you improve your diet at the same time. But taking 500 mg of the extract daily could help normalize your blood sugar. Finally, if you have cancer or are recovering from it, oleuropein is great for you too. You probably know that cancer cells feed on sugar, so you should be eating a low-sugar diet anyway. But you can starve the cancer further with oleuropein. It suppresses an enzyme that cancer cells use to obtain energy from carbs. Multiple studies have shown that taking olive leaf extract leads to tumors regressing — often very quickly. I've recommended the Mediterranean diet for years. And I don't think you should take olive-leaf extract instead of eating in this healthful way. But I do think it can be a great addition to your regimen, particularly if you're fighting one of these chronic illnesses. Just make sure you talk to your doctor or pharmacists about it first if you're taking any other medications. You don't want to interfere with or overdo their effects. Olives contain oleuropein, but so do its leaves. If you're looking for a more stable, standardized form of oleuropein without adding a lot of fats to your diet, pick up a bottle or two of olive leaf extract at your health food store and add it to your supplement regime. Why not just eat more olives and use more olive oil in your foods? Good idea. But just don't expect to get the same benefits. You need more oleuropein to get these medicinal qualities than you can get in your diet.